We love our Belgian beers, but we also know how to appreciate a good glas of Californian wine. 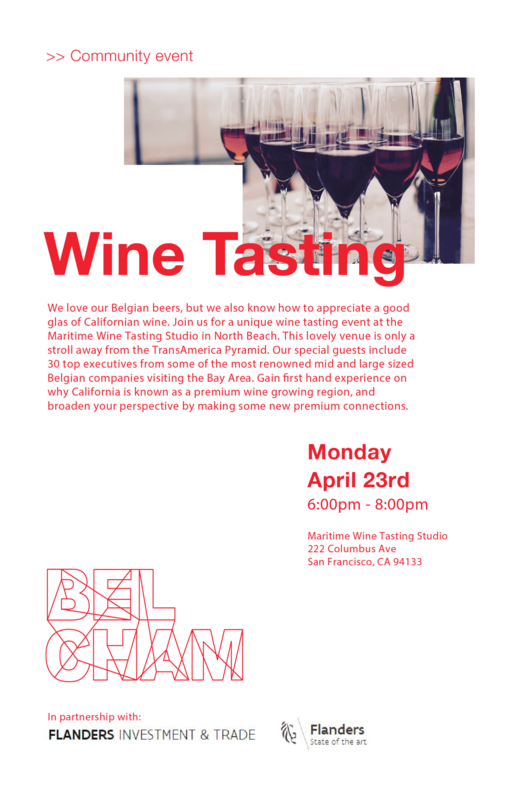 Join us for a unique wine tasting event at the Maritime Wine Tasting Studio in North Beach. This lovely venue is only a stroll away from the TransAmerica Pyramid. Our special guests include 30 top executives from some of the most renowned mid and large sized Belgian companies visiting the Bay Area. Gain first hand experience on why California is known as a premium wine growing region, and broaden your perspective by making some new premium connections.